The 2018 season is in the books, and with it, another successful year by the Coca-Cola Racing Family drivers. Headlined by champion Joey Logano, the seven-driver group had plenty of bright spots this year. Here are a few moments that stand out, as highlighted in the above video. • Joey Logano: The 2018 series champion, Logano rose to the occasion when it mattered most. He finished the season with three wins, two of them likely the most important of the season. His October win in Martinsville was the Round of 8 opener and clinched his spot in the Championship 4, the season finale race in Miami which Logano also won to earn the championship. 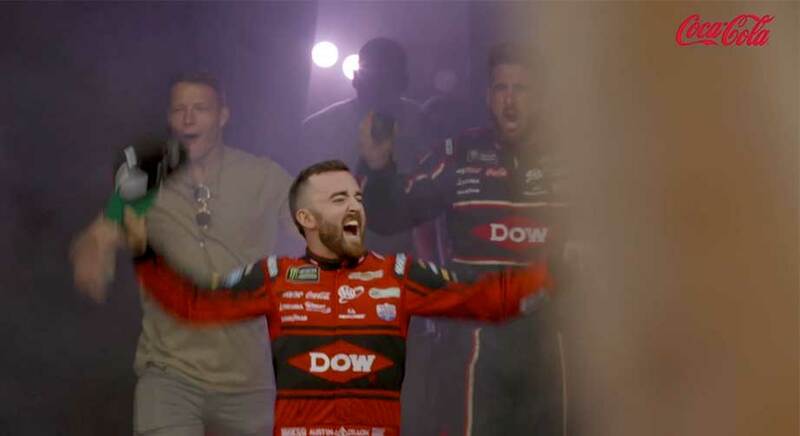 • Austin Dillon: Dillon won the historic Daytona 500 to start the season in February, clinched his spot in the postseason in the first race of the year. Dillon bumped Aric Almirlola out of the way on the last lap to power ahead for the checkered flag, the second of his career. • Bubba Wallace: A runner-up finish in the historic Daytona 500 highlighted Wallace’s first season in the No. 43 Richard Petty Motorsports Ford. The emotional moment was documented in true behind-the-scenes fashion on the “Behind the Wall” series on Facebook Watch. • Denny Hamlin: Hamlin finished third in the Daytona 500, making it a clean 1-2-3 sweep of Coca-Cola Racing Family drivers in the biggest race of the year. Hamlin’s 10 top-five finishes made it four consecutive seasons with double digit top fives, and he topped 350 laps led for the 13th consecutive season. Of his four pole awards, the biggest came last in the final race of the season at Homestead-Miami Speedway. • Ryan Newman: In what was his last season with Richard Childress Racing, Newman posted nine top-10 finishes and his name was uttered on the scanner all year as drivers bemoaned how difficult it was to pass him on the race track. Newman will drive the No. 6 Ford for Roush Fenway Racing beginning in 2019. 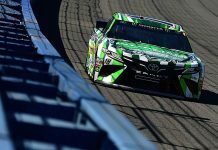 • Daniel Suarez: Suarez tripled his top-five finishes from 2017 to 2018. 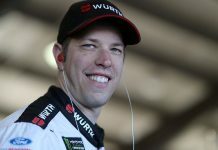 His best finish was runner-up at Pocono Raceway in July, a race in which he started from the pole — the first premier series pole award of his career — and finished second to teammate Kyle Busch. • Kyle Larson: Perhaps no driver makes you hold your breath more than Larson. Riding the high line at Homestead-Miami Speedway saw Larson run in the top five with the Championship 4 field most of the night. 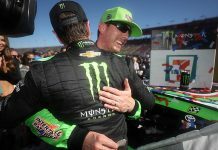 He also was part of the best finish of the season, emerging second at Chicagoland in a frenetic last-lap with Kyle Busch that saw plenty of contact.